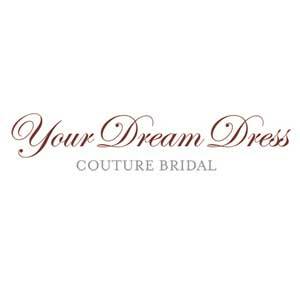 Your Dream Dress offers New, 100% Authentic designer wedding dresses & bridal accessories at up to 90% Off retail! We offer some of the most sought after wedding gowns by world-renowned bridal designers such as Vera Wang, Monique Lhuillier, Oscar de la Renta, Carolina Herrera, Peter Langner, Anne Barge, Amsale, Pronovias, Reem Acra, Kenneth Pool, St. Pucchi, Justina Atelier, Rivini, Ulla Maija, Reem Acra, Theia, Nicole Miller and many others. We purchase our designer gowns and accessories directly from world renowned designers and their authorized bridal salons only. Everything is 100% Authentic and innew, ready to wear condition.